Deseret Foundation e.V. is a non-profit organisation based in Leipzig. 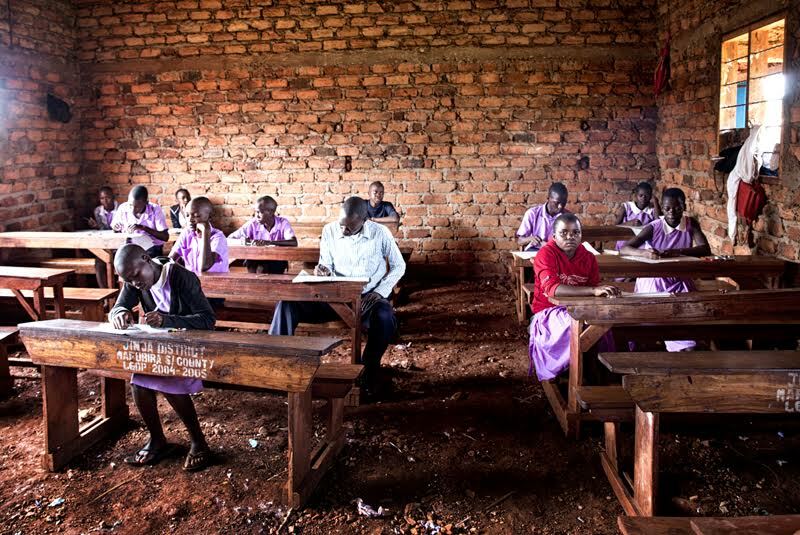 Goal of the association is to support the Deseret Community School in the village Kyamagwa near Jinja/Uganda and to provide free school access to the needy children. In the long run we would like to build a boarding school for orphans and initiate agricultural projects in order to help the weak of the society with self empowering strategies. We also want to support the elderly in our community with adequate food and medical care. Many children in our community have become orphans because of poverty, HIV/AIDS, accidents, civil wars, natural disaster and gender violence in Uganda. Their basic needs are neglected and due to hunger, poverty, domestic work and disease they often cannot go to school and the vicious circle of an uneducated life goes on and on. On average 21.000 children die each day worldwide from poverty-related issues according to the World Health Organization. Malnutrition ultimately leads to a compromised immune system, physical ailments and even death. Child labour is greatly on a raise due to intense poverty of most families in Africa. This has left millions of children with no option but to work on animal farms, on fields or in other people's homes as maids with a pay of less then £5 a month. This kind of heavy work steals the time children are meant to invest in education. And because they don't manage both: work and school, the children often end up dropping out of school because of frustrations. 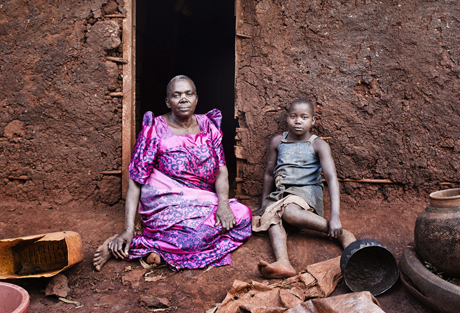 Also many women and widows in our community are living in extreme poverty. They must provide for their family on less than £1 a day. Consequently this does not only impact the mother's livelihood, but also the children's health and education. According to some investigations we carried out we found out that on average most of the people in our village earn around US £90 to £100 per year or £7 or £8 a month which becomes a challenge to support their families in terms of basic needs and education of their children. 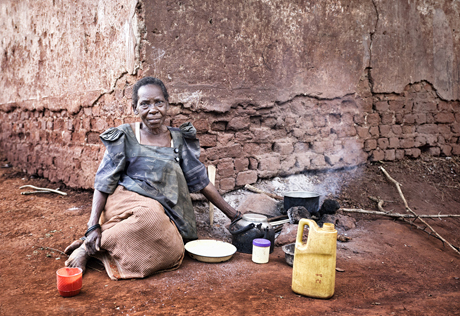 The elderly's often have to live an abandoned and desperate life because either they lost their children through HIV/AIDS or the children work in distant places and yet don't earn enough money to support their parents. They suffer the lack of basic needs like medicine, soap, descent beddings and often are left in an apathetic situation. Some of them live with their many grandchildren for whom they cannot provide a qualified life because of disease, weakness or solely old age. Because of these drastic situations Deseret Foundation e.V. was established for helping the children and elderly to have a dignified and better life. At the beginning there was no running water, no electricity and no cemented buildings. Since 2016 many improvements have been achieved. 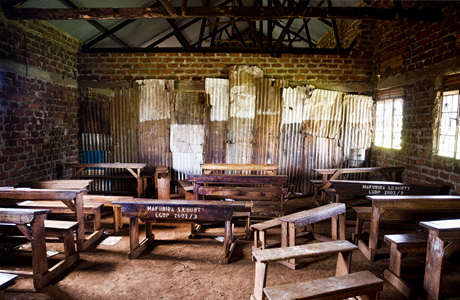 Now the school has two cemented classrooms, though all remaining ones are still not yet paved. Also running water and electricity could be installed, yet many necessary things for a prosperous education are still missing like: a boarding school for orphans, beddings, a proper kitchen, a dining room, musical instruments, school books, waste bins, help and medical care for the elderly's. At the moment 350 children do visit our school, most of them can not afford the school fees. Therefore we need your support. Please stand with us in our attempt to show a generation of orphans that there is a God who cares for them and loves them.